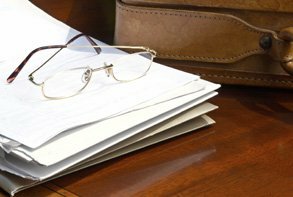 Here are some case studies that may help you understand the inheritance claim and will dispute process. Each of these cases settled at mediation, without going to court. A mother with an adult son and an adult daughter dies and leaves her entire estate to her son. Her daughter makes a claim against the estate of her mother for an inheritance, even though she had not had any significant contact with her mother for about 8 years. The daughter had been neglected by her mother from childhood. The daughter suffered from chronic depression, a debilitating physical illness and cancer. The daughter, compared to the son, was not well off and she had a financially dependent child. The daughter obtained 46% of her mother’s estate at the Mediation. The importance of the Claimant showing financial or other need. That a Claimant should not necessarily be deterred from making an inheritance claim just because they have not had any recent or regular contact with the deceased. The deceased, a father, made a Will and provided for some monthly income payments to be paid to his adult children during their lives as part of the terms of his inheritance. Once they died, everything was to go to his grandchildren. One of the deceased’s children makes a claim for an Increased Inheritance as he had assisted the father build up the family business. Several other children also make a claim for an Increased Inheritance. The child who assisted their father build up the business was successful in obtaining a significant part of the father’s assets, including the family business. Adequate provision was still provided for the grandchildren, and approved by the Court. How a child who has provided special help to build up family business or other assets may have a stronger claim to the business or inheritance assets than the other children. That a child who receives nothing from the estate except “income for life&#8221 may have a claim against the assets of the estate. A mother died with four children and left everything to her adult daughter and her daughter’s husband. The daughter and her husband were also the executors of the mother’s estate. They were the family members who provided the mother with most of the support she had over the last 20 years of her life, and they provided both emotional and financial support. The daughter and her husband had paid off her mortgage, renovations to her property, upkeep of her house and looked after her general well-being and visited her on a weekly basis. One of the mother’s other adult sons made a claim against the estate for an increased inheritance, even though he had not seen his mother for many years, and he had had a turbulent relationship with her. The mother’s other two children did not make a claim for an increased inheritance. We acted for the daughter and her husband as executor of the estate. Although the son had a financial and medial need, he only recovered one third of the estate. The remaining two-thirds of the estate went to our clients: the daughter and her husband. This is because the daughter and her husband had a special relationship with the deceased during her lifetime, and had contributed so much to her welfare and comfort. Although an adult child may not have had substantial or regular contact with his parent, this may not mean that the adult child cannot make a claim for an Increased Inheritance. Significant emphasis is given to the contribution that each person who may take under the will has made during the deceased’s life. Generally the person who has made the biggest contribution to the support of the deceased will be in a stronger position.